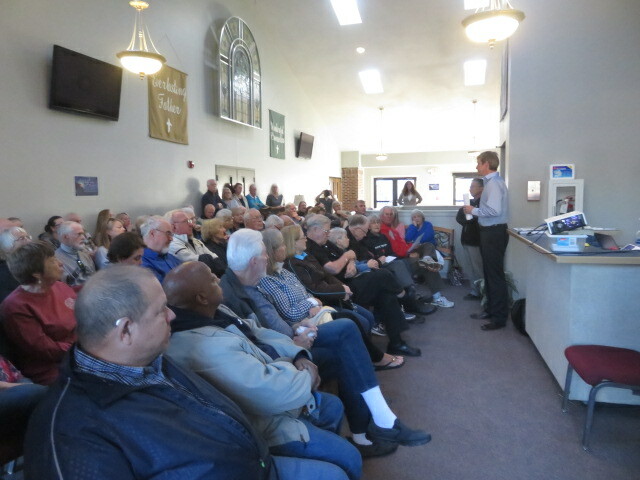 An extremely well attended Public Hearing about the “Dandy Trail Over Big Eagle Creek Bridge Rehabilitation Project” was recently held at Clermont Christian Church. This is a project that has been much needed for several years. 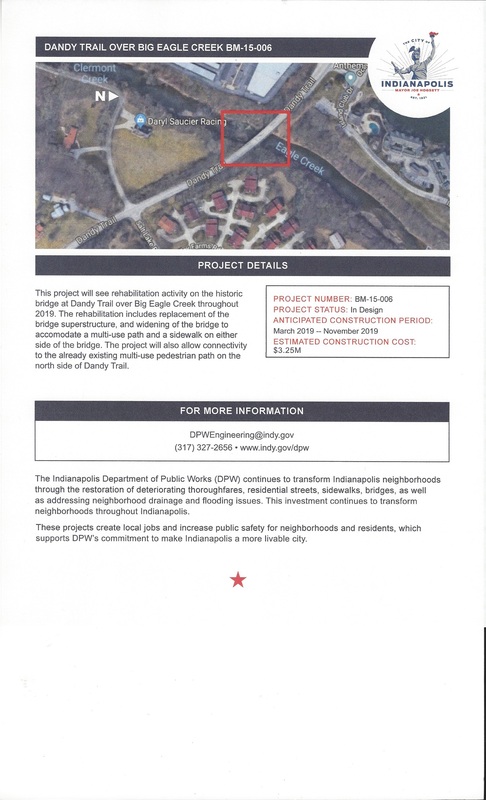 While it will be an inconvenience in the entire area as the bridge will be closed during construction, it will be such an improvement when completed. This is the information sheet that was handed out at the meeting. There will be more details about this project as we get closer to the start date in March.